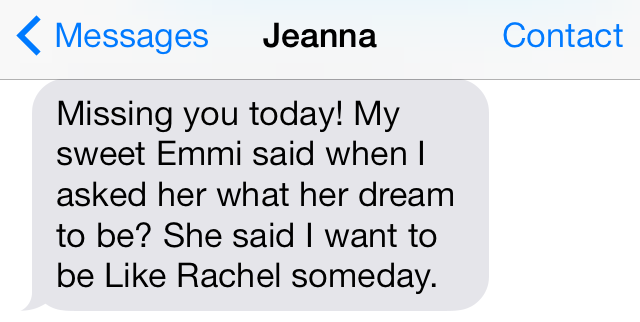 A sweet friend of mine sent me the text above earlier this morning, and my heart absolutely melted. Each time I’ve taken the “5 love languages” quiz, words of affirmation always score very highly in priority for me. I know that I’m not alone when it comes to this love of beautiful words, as the bible is filled with the reminder of their importance. Words can be a place of knowledge, education, growth, life, love, passion, peace, and healing. But words also have the power to hate, destroy, break, diminish, and deeply wound. This has been a particularly challenging season of life, and I have been covered and protected by an incredibly powerful weapon: words of truth. We need friends who affirm and remind us of who we are. The truth has to scream louder than all of the lies and negative words that may be swirling around in our hearts and minds. In the past week, I have had numerous sweet friends completely overwhelm me with their loving words. My Identity Girls writing team even started posting encouragement for me in our private Facebook group. These girls are my warriors…they fight for me, and even when there’s nothing more that could be done, words are always an immense source of healing and peace. When I find myself in survival mode, fighting just to make it through, my incredible friends help me to thrive. They breath life into my weakness. They bring light to my darkness. Their words are my fuel. Beautiful words are why I love reading…why I’m a writer…why I believe in the power of stories…why testimonies matter…why sharing and cultivating messages can change lives. Words can bring life or death. I choose life. Who can you inspire, edify, affirm, and love today through a few simple words?